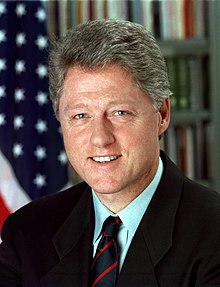 William Jefferson Clinton (born William Jefferson Blythe III; August 19, 1946) is an American politician who served as the 42nd president of the United States from 1993 to 2001. 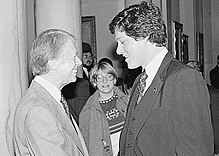 Prior to the presidency, he was the governor of Arkansas from 1979 to 1981, and again from 1983 to 1992, and the attorney general of Arkansas from 1977 to 1979. 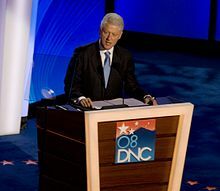 A member of the Democratic Party, Clinton was ideologically a New Democrat, and many of his policies reflected a centrist " Third Way" political philosophy. 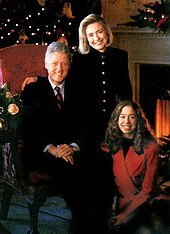 Clinton was born and raised in Arkansas and attended Georgetown University , University College, Oxford, and Yale Law School. He met Hillary Rodham at Yale and married her in 1975. After graduating, Clinton returned to Arkansas and won election as the Attorney General of Arkansas, serving from 1977 to 1979. As Governor of Arkansas, he overhauled the state's education system and served as chairman of the National Governors Association. 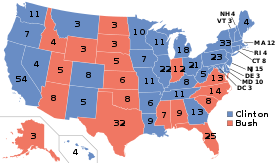 Clinton was elected president in 1992, defeating incumbent Republican opponent George H. W. Bush. At age 46, he became the third-youngest president and the first from the Baby Boomer generation. 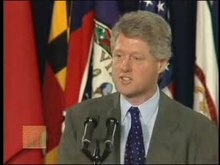 ^ DeMolay – Hall Of Fame » William Clinton[ permanent dead link], quote: "Clinton was initiated into Hot Springs Chapter in Hot Springs, Arkansas, in 1961, where he served as Master Councilor. He received the Chevalier in 1964, and the Legion of Honor in 1979. 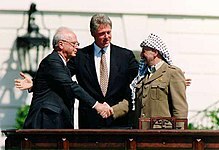 Clinton was inducted into the DeMolay Hall of Fame on May 1, 1988."